Heavy, separate hard-top, uninspiring handling. 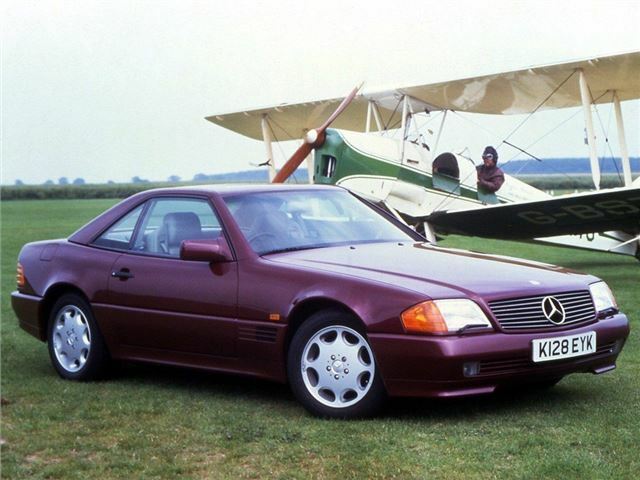 The 1989 Mercedes-Benz SL was a revolution for its maker. At a stroke, it banished the 1970s styling of its predecessor, it favour of an up-to-the-minute look overseen by Bruno Sacco. It was such a successful styling job, that the R129 remained in production for more than a decade, and still looked fresh at the end of its life. 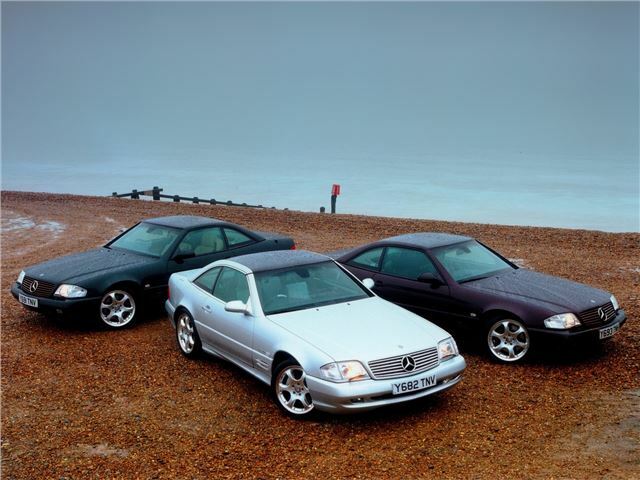 But the SL's beauty was more than skin deep - it was packed with technology. Alongside the power-operated roof, it featured and dual-range four-speed automatic gearbox, and some SLs even came with suspension that lowered itself at speed. But passive safety moved to another level, thanks to a pop-up roll-over bar, that reacted within milliseconds of an impending roll-over, and a profusion of airbags and traction/stability systems. Six-cylinder 300 has either 190bhp or 231bhp in 24-valve twin-cam form; the 500 packed a 32-valve 326bhp V8 and later ones could be had with a five-speed auto. Unlike earlier SLs, these have the performance to be considered proper sports cars.